Since first season I was so much into watching 2 Broke Girls. This funny and make us laugh at every episode. Through the season my preferences were changing, I liked so much Caroline during first season, next year something changed I think Max Black became funnier. And absolute favorite of all season has always been Sophie played by Jennifer Coolidge who does not change her TV image since Legally Blonde. I still remember how we discussed with friends till losing our voices who is the coolest in 2 Broke Girls and why. This August TV's favorite comedic duo that manages to turn life's lemons into lemon cupcakes is back and more hilarious than ever as Warner Bros. Home Entertainment brings you 2 Broke Girls: The Complete Fourth Season on DVD. The DVD release will include all 22 half-hour episodes from the fourth season, plus exclusive unaired scenes and a gag reel. 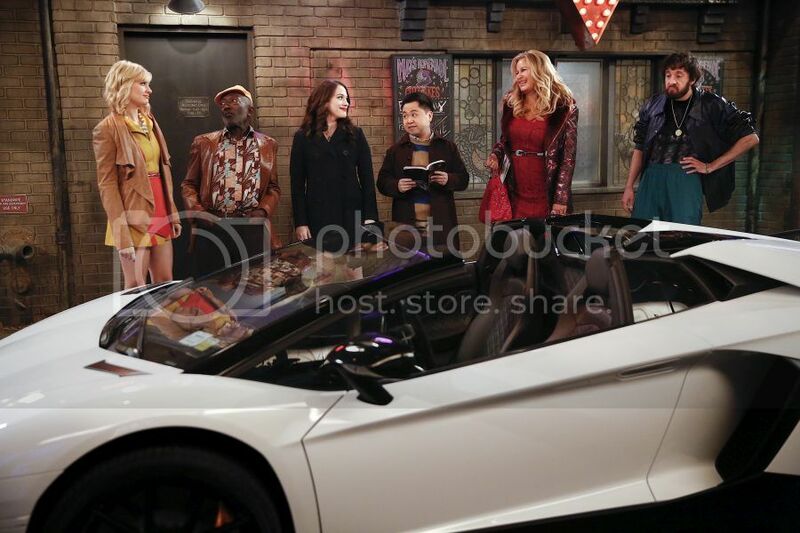 In its fourth season on CBS, 2 Broke Girls delivered an average of 9.8 million viewers weekly and was one of the network’s top five sitcoms among Women 18–34. Season Four serves up sweet success for two of Brooklyn’s hottest waitresses, Max (Kat Dennings) and Caroline (Beth Behrs), as they plan to strike it rich with their new cupcake T-shirt business! The shirts are selling like hot cakes, until a couple of unfortunate situations happen, and the two entrepreneurs are back at square one — and broke again. Love is in the air as Sophie (Jennifer Coolidge) and Oleg (Jonathan Kite) plan their wedding, with Max and Caroline as the bridesmaids and Earl (Garrett Morris) and Han (Matthew Moy) along for the ride. The girls still worry about ways to make money, but their friendship is worth a million bucks. Season Four also features appearances by guest stars Kim Kardashian West, Lily Aldridge and Sandra Bernard. We are excited to share some good news, one our lucky US reader will win 2 Broke Girls: The Complete Fourth Season on DVD thanks to Warner Bros. Home Entertainment. For your chance simply fill the form below and Good Luck! The giveaway ends September 1, 2015 and open to US residents only (no P.O.Boxes please). I like Sophie. thanks for the chance. My fav is max, love her. I would love to win because I did not get to watch every episode in order. I would like to relook at them in order. Max cause Kat Dennings rocks. My favorite is Max because she make me laugh the most! I love Max because she's sarcastic. I've always liked Max. Her sarcastic sense of humor is something I wish that I was able to pull off. I think their boss Haun and that Sophie lady are both really funny on the show, I watch this show all the time. Max cracks me up! I love her! My favorite character is Max. Sophie is hilarious but I also like Max's snark.